approx 16 feet long and photographs it from the air. So what about white sharks today? page 12 or by the recent white shark info on the links below. people and attitudes of that time period. The book is thoroughly researched. century and how a marine event could change the lives and habits of Americans. Fully grown 16-19 feet and a weight of 2,500-5,500 lbs. That was the common name used for centuries to describe the shark species, Carcharodon carcharias. Mayor Vaughn: "And what did you say the name of this shark is?" Hooper: "It's a Carcharodon carcharias. It's a Great White." 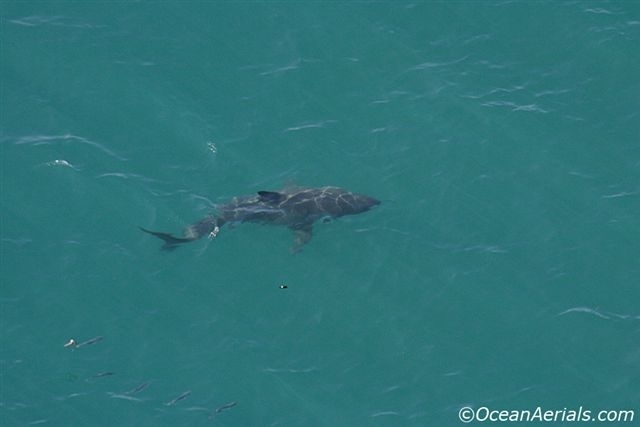 to get support to protect a “white shark,” than it would be to protect a “man-eater”. topside color without the usual transitional area seen on many other shark species. 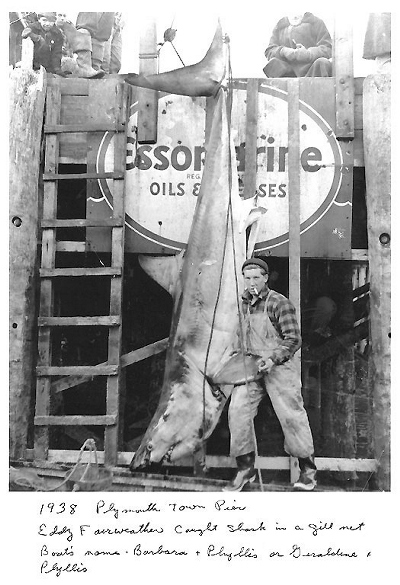 estimates still persist of whites around 26 feet long based on bites taken out of whale carcasses. Although claims of whites that size have been made, no whites anywhere near 26 feet have been verified. Realistically, 22 feet is about maximum for this species. Thats an incredibly large shark. traveled up and down the east coast all winter. on the surface and on the bottom. Whites are considered to be primarily daytime hunters. 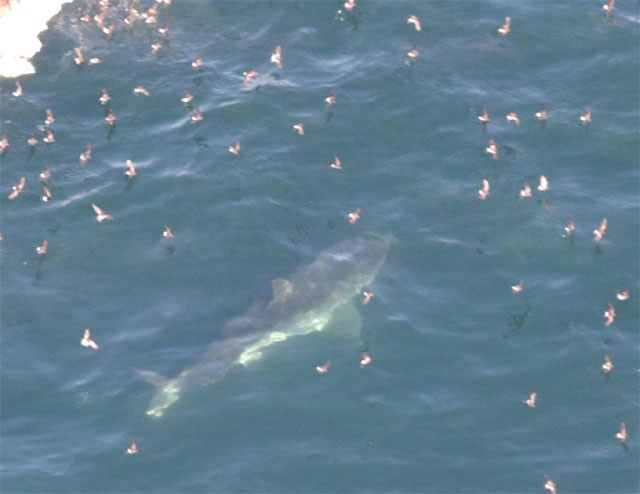 pickings were easy, like they are at some seal colonies, the white sharks would eat more often than that. 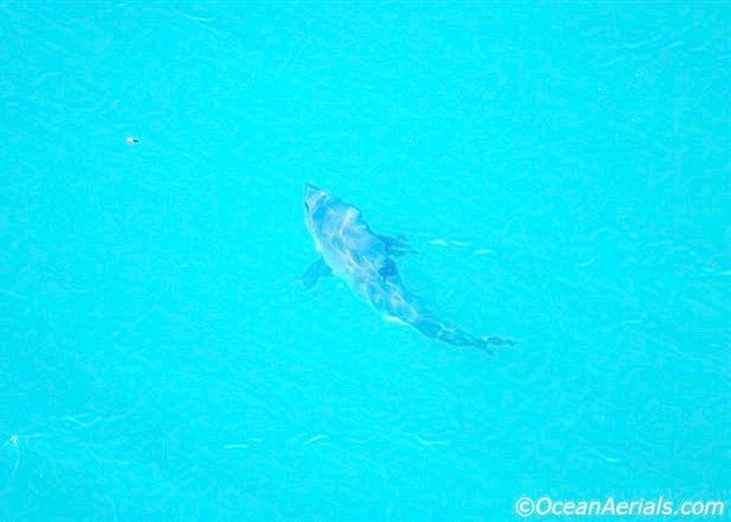 others on a shark list. three occasions. taking 3 to 8 bites respectively,(30-80lbs?). every few days, not every few weeks. Any mention of white sharks brings to mind shark attacks. Here is info on several fatal shark attacks in our New England waters. 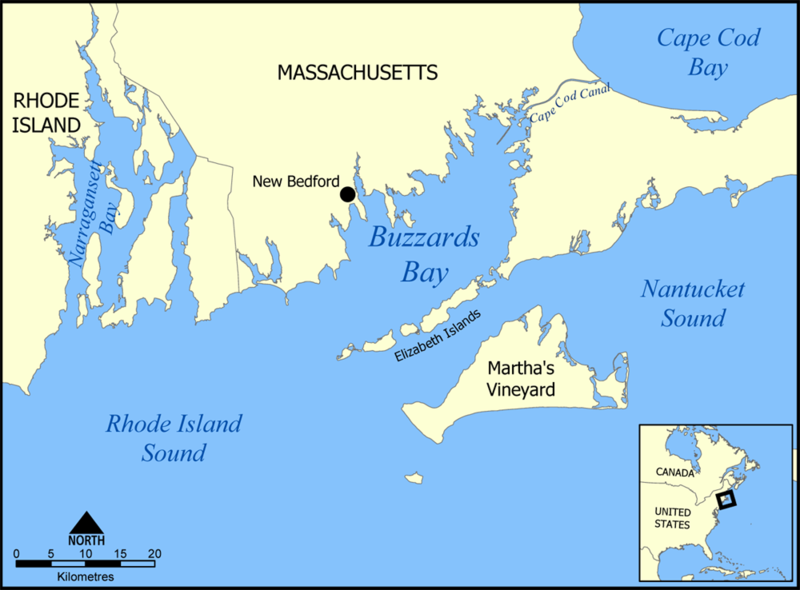 Fatal New England Shark attacks. Carcharodon carcharias, the tiger, Galeocerdo cuvier, and the bull shark, Carcharhinus leucas. New England have turned out to be dusky sharks. 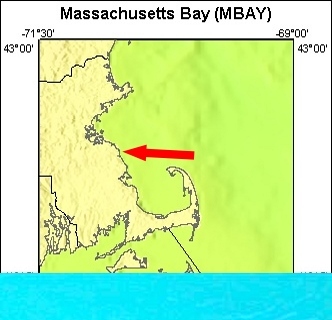 anywhere in New England, especially one occurring close to shore. well into the 1900s - actually not much was learned about sharks until after WWII. inspiration for the movie JAWS. statements about those shark attacks. They just didn't know much about sharks. attacks would not happen in the cooler water north of Cape Hatteras. so-called shark experts of that day. The experts of that day were just clueless. planking identified the shark as a white, Carcharodon carcharias. I thank Charles Stockler for e- mailing me info on this attack. This attack in the 1700s pre-dates the founding of our country. In Boston there was and still is, a well know family, the Shattucks. 14 years of age-he was as best I can determine about 24 years old. his boat was attacked by a shark, and he was tipped overboard and devoured." territory. Whites also have a history of attacking small boats. and anchored 5 miles east of Scituate. half-mile. 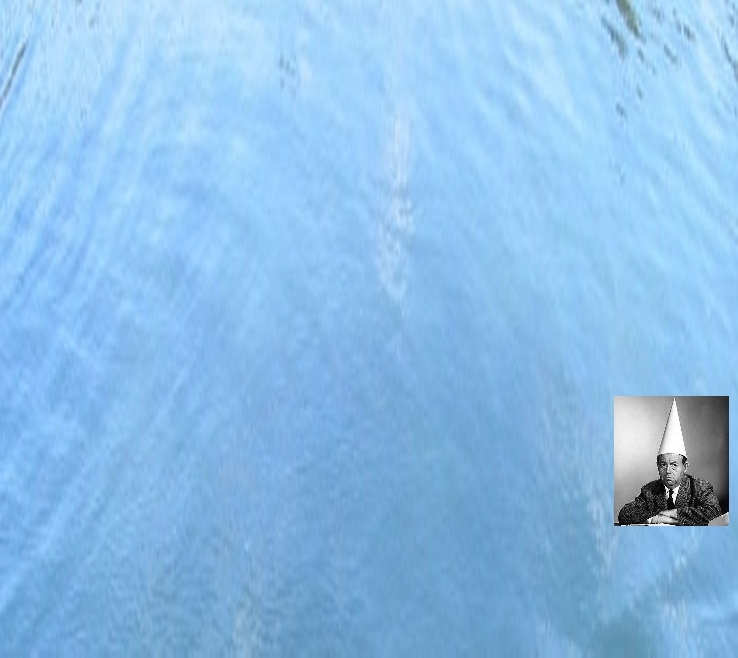 After a few hours went by, Mr.
large fish lying across his dory amidships. The fish ended up back in the water. The next fatal attack in 1830 is quite a saga; and is material for a Hollywood movie. But this story is not over. Scituate where Mr. Blaney was killed. If the shark is still there, they want to catch it. tackle to hoist it onboard. size white would weigh about 2,500 - 3000 lbs. They killed the shark, and cut it loose. Boston Gazette 1830- “Sharks! 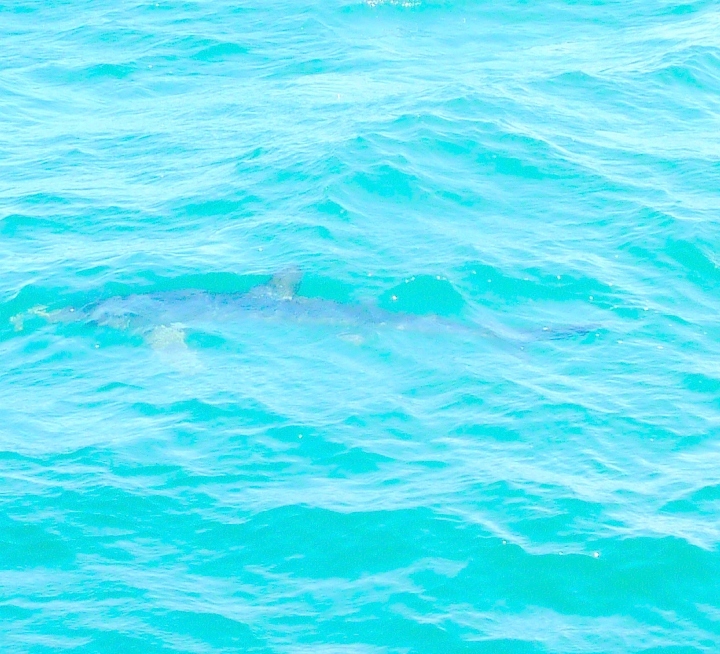 A basking shark. any large shark they saw cruising on the surface. 5 miles east of Scituate. steam yacht Helen May Butler. At 5 AM several small skiffs were launched for fishing. had a hold of Beattie and pulled him under. I thank Christopher Moore from England for info on this event. 26 and the N.Y.Times July 26. The story of Joseph Troy Jr. 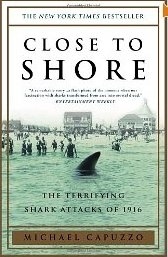 The last fatal shark attack in New England. Jersey until after the movie "JAWs" came out in 1975, and made the public shark conscious. In 1936 Joseph Troy Jr. age 16, was living in the Dorchester section of Boston, on Talbot Ave..
have happened. The words "shark attack" wouldn't be in anyone's vocablary in 1936.
over to assist him. Fisher helped Stiles in getting Troy into the boat, and rowed them to shore. Hospital in New Bedford, about 12 miles away. when Joseph’s condition worsened. Joseph passed away about 8:30 PM that evening. 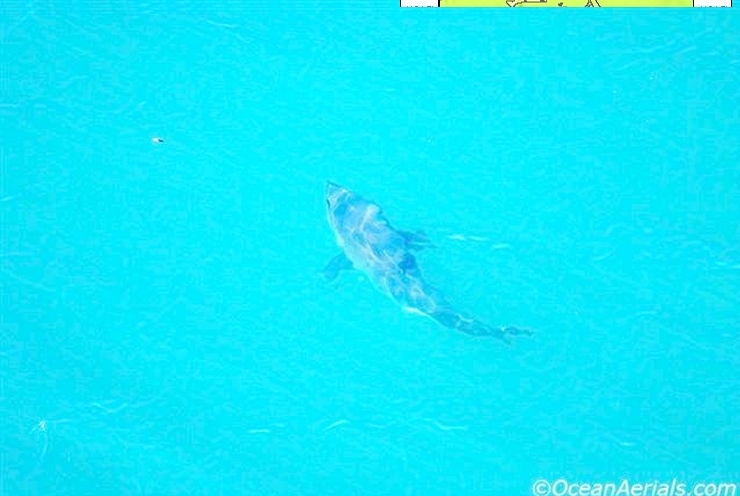 white, or possibly, but not likely, a tiger shark, Galeocerdo cuvier, or a mako, Isurus oxyrinchus. mako's teeth are smooth edged teeth, and a white sharks teeth are serrated..
was driven away without being identified. on Joseph Troy had been investigated in 1936 by Dr. Hugh M. Smith, former Director of the U.S.
would have survived; mainly because his femoral artery in the mangled leg was not severed. Should we be concerned about shark attacks? movie JAWS and ongoing newspaper accounts of sensational shark attacks have heightened this awareness. 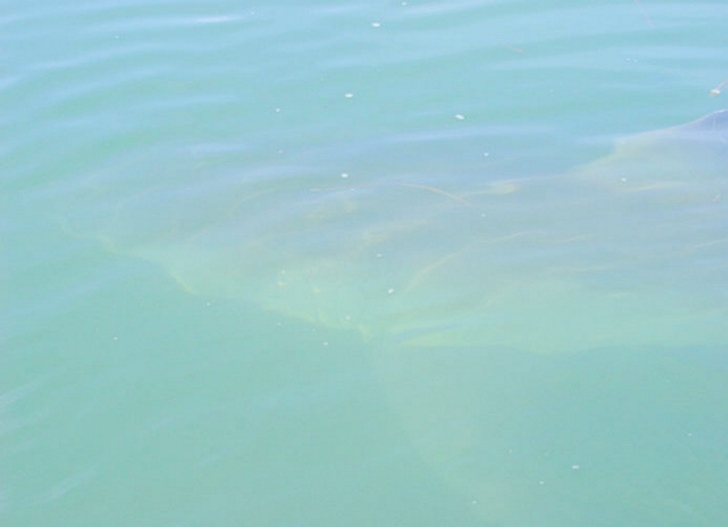 There are about a dozen shark species consistently involved in attacks on people. the bull, Carcharhinus leucas, the tiger, Galeocerdo cuvier, and white shark, Carcharodon carcharias. Nicaragua. Bulls reach 700 lbs. and grow over 10 feet in length. The bull appears to be the most aggressive of this trio in attacks on people. The tiger, Galeocerdo cuvier is another large shark, weighing up to 1,800 lbs. and exceeding 16 feet in length. shark until the movie JAWS. Tigers are in the waters south of Martha's Vineyard. in the 16- 18 foot range. 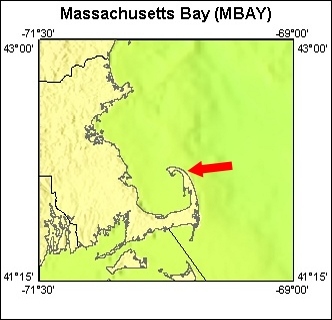 All of New England and up into Canada is the white shark's normal range. will continue to happen. Let’s face it. Sharks happen! 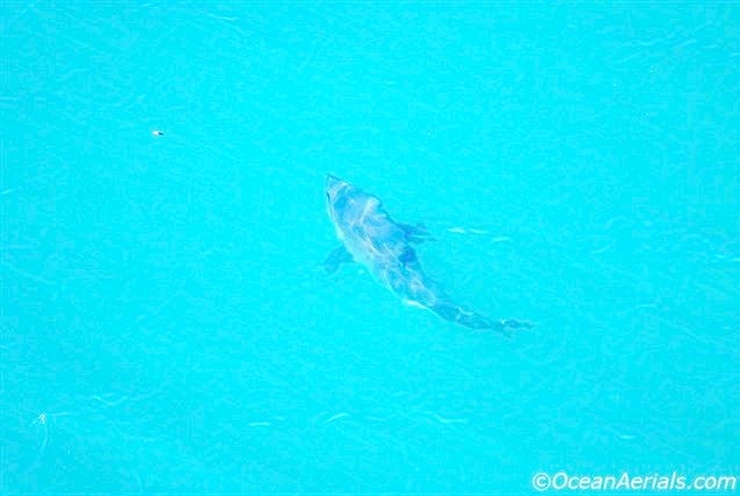 In 1997 the white shark became a prohibited species to help increase their depleted numbers. 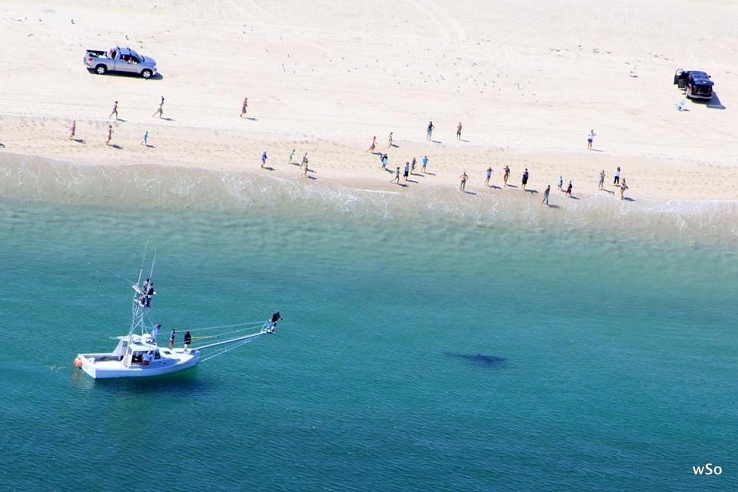 Fatal shark attacks are few and far between in New England – actually centuries apart. Statistically we are at the end of a far-between period. In other words, we’re due. That doesn’t mean it will happen, but if it does; we shouldn’t be surprised. the seal population has greatly increased. 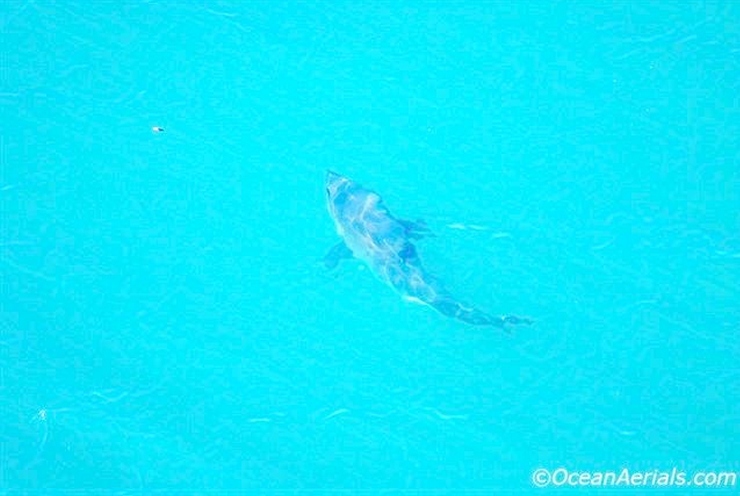 identifyable white shark bite wounds. 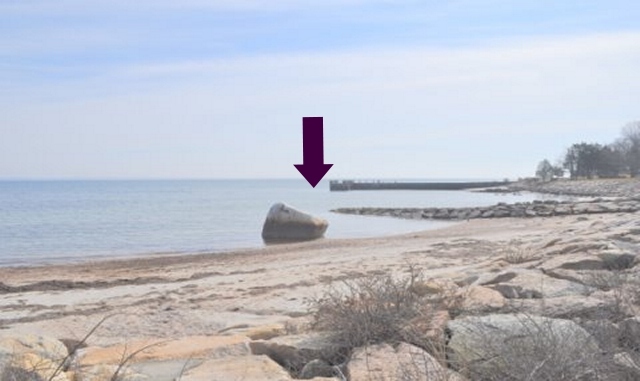 at Hollywood Beach , Mattapoisett Mass., off the end of Grand Ave.
beach is on the ocean side of Cape Cod. Truro is the next town to Provincetown. off the shores of Ballston Beach in Truro. during the tagging operation at Chatham, Mass. view and the natural glare on the surface of the water.